Bringing fresh-hop beer into Oregon is like carrying brown ale to Newcastle. With something like 41 wet-hop beers on offer around the state this year, there's no shortage of homegrown product. Nevertheless, Sierra Nevada works a couple of interesting angles: an off-season Harvest Ale with hops from New Zealand, and the Chico Estate Harvest Ale, with hops grown on the brewery premises. Sierra Nevada's fresh-hop ales haven't impressed me yet, though the Chico Estate is the best so far. 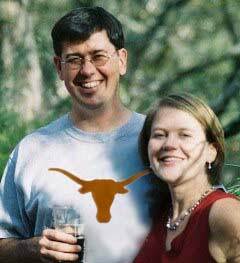 It's a fairly malty pale ale, with a long, pleasant bitterness. It has a faint green hop aroma -- which I find to be totally missing in SN's other two Harvest variants -- but not enough to convince a spoiled Portlander. And it's not just a bottled vs. draft issue -- bottles of Deschutes' Hop Trip get the flavor right, as do bottles of Hale's Harvest Ale. I'm not sure why they're not able to capture it in Chico. Pity. I eagerly awaited the arrival of Chico Estate when I heard it would be bottled this year. I had gotten a taste of last years' at the Portland Holiday Ale Festival (they called it 20th Street Ale at the time), and found it better than the ordinary Sierra Nevada Harvest. I got even more excited when I read a review last week that said this year's bottled version tasted "green" -- hey, that's how I describe these things. But it's not how I'd describe Chico Estate. I think I'll stick to Oregon beers -- and that tasty Hale's -- for the rest of fresh-hop season. i just got back from the GABF this weekend and heard about Sierra Nevada doing a vertical tasting of their Celebration Ale here in PDX. Any word on when and where? Mr. Foyston wrote last year about one at Woodstock Wine and Deli. Maybe they're doing it again? Damn, I'm going to have to get up there in the fall sometime. 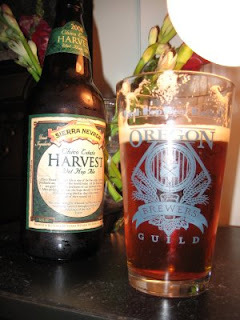 I just had a bottle of the Sierra Nevada Harvest and thought it was sublime; if Oregon's are better, that has my mouth watering just thinking about it. Lee, the last couple of years they have done a set of 3 Fresh Hop festivals around the state on Saturdays in October. So your best bet would be to come out for one of those. And yes, I can think of 10 Oregon fresh hop beers that blow SN Harvest away. Karen: I just read in Beer Northwest that Woodstock Wine and Deli will indeed have a Celebration vertical, on Nov. 1, 2008. Seven years' worth!